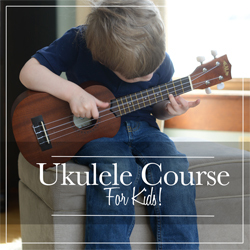 When I started the Music in Our Homeschool website in November of last year, my dream was to provide online music courses to help all homeschoolers include music in their homeschool. I know music education is intimidating for many, and I have some great ideas to help. Today, that dream has become a reality! Learn.MusicinOurHomeschool officially launches today with my very first course called 15-Minute Music Lessons for Elementary Students. You’ll find fifteen 15-Minute Music lessons to share with your elementary students all in one handy online place that you can access with any computer or device anywhere you have internet access! Everything you need is included, plus more Each of the 15 lessons has text to read to your student and videos imbedded to watch to understand the concept more. Printables are available for each lesson, as well as an online quiz. Sometimes, extra resources or websites are provided for even more enrichment. You can even preview one lesson for free. After you enroll in the school, you will become an affiliate. In your Admin tab you’ll find a special link that you can share with your friends. 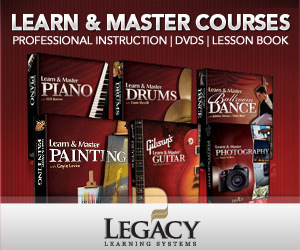 If they decide to purchase the course as well, you’ll receive 25% of what they paid! Only $10 for 15 separate lessons (includes printables)! Update: 20th Century Music Appreciation for High School Students is now available! All About Musicals for Elementary Students is also ready!